Welcome to the world of Year 6!  You’ll find it isn’t very different to previous years, but it will include a fair bit of preparation for SATs (more on this in our SATs meeting) and also some transition to help the children with their move to secondary school. Of course – this year also includes Robinwood – the highlight of the Year 6 experience! 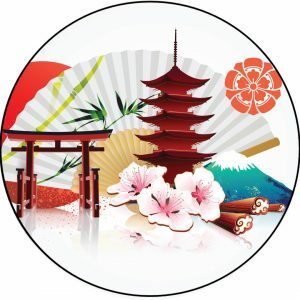 Wit h regard to lessons, this term in Year 6 we will be working on the topic “Japan”. We will be working from the new 2014 curriculum to deliver this topic. To enhance the topic we will be focusing some of our literacy work on the Michael Morpurgo novel “Kensuke’s Kingdom”, which I hope the children will come to love as much as I do. The topic provides the opportunity to use our geography skills and map reading skills, as we delve into the physical and human features of Japan. We will also have the opportunity to explore aspects of Japan’s history, art and culture. We will be visiting the Durham Oriental Museum as part of our study. A very important aspect of Year 6 is helping the children to become more mature and independent so that they are ready to make the move to secondary school. One of the ways we do this is to give additional responsibilities, such as spending some time with our new Reception buddies, which I know the children are looking forward to, and getting used to our new monitor roles. We also ask that children begin to take responsibility for their own equipment and homework. Perhaps a timetable could be made and put somewhere for your child to follow regarding when PE kit and homework needs to be brought in? Also, it would be good for the children to become more independent at the beginning and end of the school day by meeting up with friends to come into the yard or lining up on their own. All of this will help the move to ‘big school’ seem like a much easier step! With regard to practicalities, our P.E. days are on Monday and Friday. Weather permitting, the children will be going outside for this, so outdoor kit is required. Homework will be sent out on a Monday (Maths and Spelling) and returned on Thursday. Your child needs to bring in their reading book at least twice a week (please look in the front of their Blue reading logs to find out which days). Please encourage them to read some of their book at least twice a week – they can write their own comments about the book in their reading record, but please feel free to write in it too if you wish. If you have any questions or concerns at all, please come and see me. Year 6 can be a tricky time for some children and I would hate to think they were upset or worried about anything and didn’t tell me. You know your child so much better than we do – if you feel there is something wrong please talk to them and ask them to come to me for help, and if they feel they can’t, please come to see me yourself. I’m on the yard most days after school, or feel free to call or make an appointment for a meeting. And don’t worry – we’ll look after them! Thank you for your support, I look forward to meeting you on parents evening (TBA) if not sooner.